NCPD reports the arrest of Lonnie Pernell of Amityville, 22, for Assault. Bethpage, NY - November 29, 2018 - Second Squad detectives report the arrest of an Amityville man for an Assault that occurred on Wednesday, November 28, 2018 at 1:10 pm in Bethpage. According to detectives, Lonnie Pernell, 22, was receiving medical attention when he became violent and pushed a Saint Joseph’s employee to the ground. The female victim, 50, suffered injuries to her face and hand. A second employee was coming to aid the female victim and was tackled by Pernell. The male employee, 36, suffered a broken hand and injuries to his back, ribs and left knee. The subject left the building and entered a construction site adjacent to the hospital. Pernell entered a construction vehicle that was left idling, proceeded to leave the area and struck another truck on the property. A construction employee and police attempted to remove Pernell from the vehicle. After being removed from the vehicle, Pernell struggled and kicked the officer and a police AMT. The defendant was subdued and placed under arrest. The officer suffered injuries to his right knee. The police AMT suffered injuries to her right knee. Defendant Pernell is charged with four (4) counts of Assault 2nd Degree, Grand Larceny 2nd Degree, Criminal Mischief 3rd Degree and Resisting Arrest. He will be arraigned when medically practical. 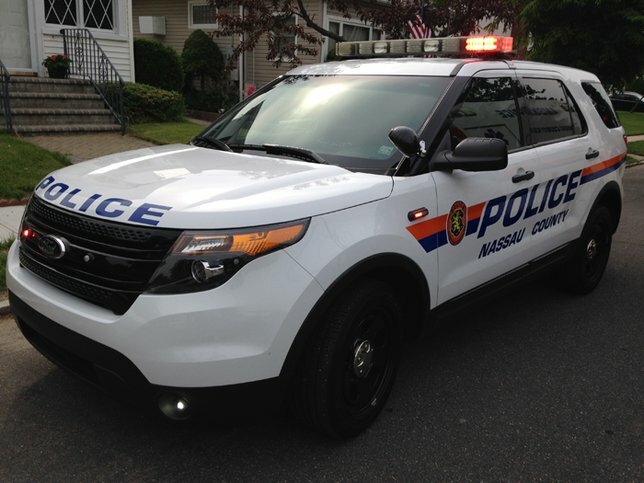 Subject: LongIsland.com - Your Name sent you Article details of "NCPD: Bethpage Hospital Patient Attacks Employees and Cops, Steals and Crashes Construction Truck"